Earlier today there was a major Coachella update, and now Omega Events has announced the final names added to the upcoming Doheny Blues Festival lineup! Doheny will be the place to be the weekend of May 21 & 22, 2016! The 60 Grit Band will perform at Doheny Blues Festival in May 2016. 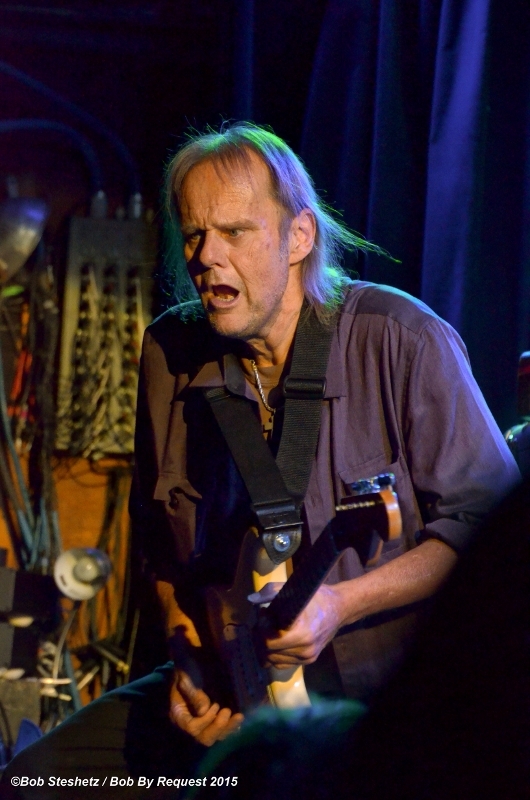 '80s Rockabilly legends who topped the charts with "Let's Bop"
Walter Trout in July 2015. ONLINE: Purchase Weekend Passes online through our secure ticketing site. PHONE: (949) 360-7800, Monday-Friday, 10 a.m. - 4 p.m.
1. All sales are final; there are no refunds. 2. All prices listed are "per person." 3. Tickets are non-transferrable and non-refundable. 4. We are not responsible for lost or stolen tickets. 5. Weekend Passes are NOT available at the gate. 6. Weekend Passes are only good for one person for the entire weekend. 7. Weekend Pass Holders must wear their wristband for the duration of the festival weekend. 8. All customers purchasing tickets to the Doheny Blues Festival agree to the festival guidelines and ticket policies. 9. Ticket policies, privacy policies and photo policies are available on the Doheny Blues website. 9. Single Day Passes are available for purchase at the gate for $10 more, while supplies last. 10. Artists and times are subject to change without notice; the festival is rain or shine. 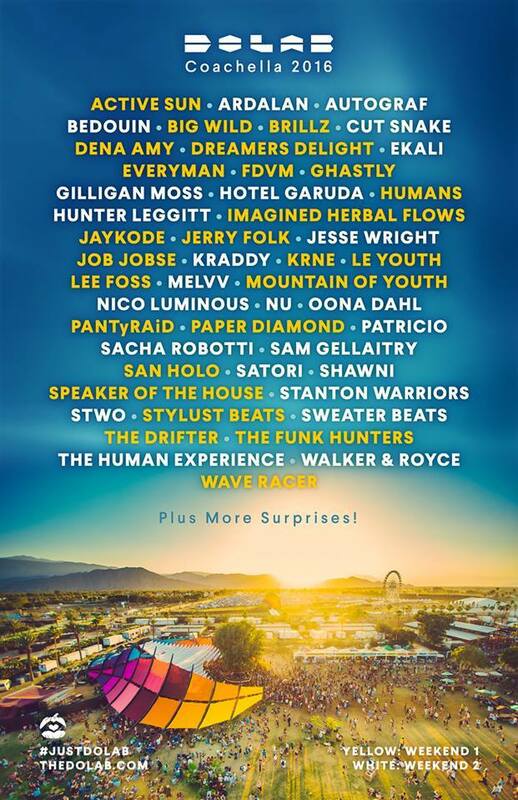 The DoLab has announced its full lineup of artists slated to appear at the upcoming 2016 Coachella Valley Music and Arts Festival. The dance stage area known for its propulsive beats and cooling waters thanks to people who hose down grateful crowds of Coachellagoers has been a staple at the festival for more than a decade. Active Sun, Ardalan, Autograf, Bedouin, Big Wild, Brillz, Cut Snake, Dena Amy, Dreamers Delight, Ekali, Everyman, FDVM, Ghastly, Gilligan Moss, Hotel Garuda, Humans, Hunter Leggitt, Imagined Herbal Flows, Jaykode, Jerry Folk, Jesse Wright, Job Jobse, Kraddy, KRNE, Le Youth, Lee Foss, MELVV, Mountain of Youth, Nico Luminous, Nu, Oonda Dahl, Pantyraid, Paper Diamond, Patricio, Sacha Robotti, Sam Gellaitry, San Holo, Satori, Shawni, Speaker of the House, Stanton Warriors, STWO, Stylust Beats, Sweater Beats, The Drifter, The Funk Hunters, The Human Experience, Walker & Royce and Wave Racer. those honored at the upcoming event. SANTA MONICA, Calif. (March 29, 2016) —The Recording Academy® will honor its 2016 Special Merit Awards recipients with an awards ceremony and live tribute concert onSaturday, April 23, 2016 at The Dolby Theater in Los Angeles. Dubbed "GRAMMY Salute to Music Legends," the event will be produced in partnership with THIRTEEN as part of the"Great Performances" series on PBS, set to air later this year. Led by music industry icon Don Was as musical director, the tribute concert will feature rare performances by honorees and never-seen renditions by those they've inspired. Tickets for the event will be on sale via Ticketmaster beginning Tuesday, March 29, 2016 at 10:00 am PST. This year's Lifetime Achievement Award honorees include Ruth Brown, Celia Cruz, Earth, Wind & Fire, Herbie Hancock, Jefferson Airplane, Linda Ronstadt, and RUN DMC.John Cage, Fred Foster, and Chris Strachwitz are Trustees Award honorees; and EMT andDr. Harvey Fletcher are Technical GRAMMY® Award recipients. Also being honored is Phillip Riggs, this year's recipient of the GRAMMY Foundation Music Educator Award. Performers will be announced shortly. Previously held during GRAMMY Week, this is the first time that The Recording Academy has celebrated the Special Merit Awards with a stand-alone event and musical tribute. In addition to the tribute concert, special celebrity guests will present recipients their award statues and guests will enjoy never-before-seen video packages celebrating each of the honorees' contributions to the music industry and our cultural heritage. A production of THIRTEEN Productions LLC for WNET, "GRAMMY Salute to Music Legends" will be written by David Wild and directed for television by David Horn, with Mitch Owgang as producer, and David Horn and Neil Portnow as executive producers. The Lifetime Achievement Award honors performers who have made contributions of outstanding artistic significance to the field of recording, while the Trustees Award recognizes such contributions in areas other than performance. Both awards are determined by vote of The Recording Academy's National Board of Trustees. Technical GRAMMY Award recipients are determined by vote of The Academy's Producers & Engineers Wing® Advisory Council and Chapter Committees, and are ratified by The Academy's Trustees. The award is presented to individuals and companies who have made contributions of outstanding technical significance to the recording field. Ruth Brown* began her musical career in the church choir at the tender age of 4. A singer/songwriter, record producer, composer, and actress noted for bringing a pop music style to R&B music, Brown became one of the undisputed architects of the genre. She recorded a number of hit songs, including "I'll Wait For You," "I Know," "5-10-15 Hours," and "Mambo Baby." She later went on to have a successful theater career. Celia Cruz* was one of the most popular salsa singers and performers in history. Known internationally as the "Queen of Salsa," the Cuban-American Cruz was a larger-than life-personality. She recorded 23 gold albums and was a recipient of the United States National Medal of Arts. Cruz received three GRAMMY Awards and four Latin GRAMMY Awards. 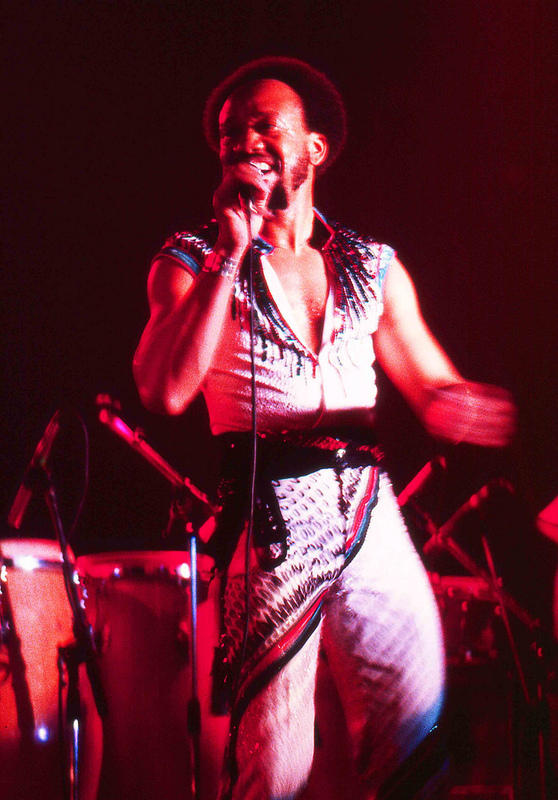 Six-time GRAMMY winners Earth, Wind & Fire were one of the most important and innovative contemporary pop/R&B musical forces of the 20th century. Members Philip Bailey, Larry Dunn, Johnny Graham, Ralph Johnson, Al McKay, Fred White, Maurice White*, Verdine White, and Andrew Woolfolk built the group's distinctive signature sound, which has remained profoundly influential. Successfully breaking down all musical genre boundaries since forming in 1969, they recorded seven #1 R&B singles and eight Top 10 pop albums. Earth Wind & Fire earned more than 50 gold and platinum album certifications and more than 90 million albums worldwide, placing them on the list of best-selling musical artists of all time. One of the most revered and idiosyncratic figures in jazz, Herbie Hancock has been at the forefront almost every development in electronic and acoustic jazz and R&B. A stylistically diverse and ever-intriguing canon of songs, including "Maiden Voyage" and "Rockit," has helped earn him 14 GRAMMY Awards during his impressive five-decade-plus professional solo career. Marty Balin, Jack Casady, Spencer Dryden*, Paul Kantner*, Jorma Kaukonen, and Grace Slick comprised Jefferson Airplane, pioneers of counterculture-era psychedelic rock. Emerging from the San Francisco scene to achieve international mainstream success, performing at the three most famous American rock festivals of the 1960s — Monterey (1967), Woodstock (1969), and Altamont (1969). Their 1967 album Surrealistic Pillow is regarded as one of the key recordings of the "Summer of Love." Two hits from that album, "Somebody To Love" and "White Rabbit," are among Rolling Stone's "500 Greatest Songs of All Time." With roots in the Los Angeles country and folk-rock scenes, Linda Ronstadt is one of the most popular interpretive singers of all time, earning a string of platinum-selling albums and Top 40 singles. Throughout the 1970s, her laid-back pop never lost sight of her folky roots, yet as Ronstadt moved into the 1980s, she began to change her sound with the times, adding new wave influences. Her later years saw the 10-time GRAMMY winner exploring traditional pop, Latin, and musical theater. RUN DMC, comprising of Darryl "DMC" McDaniels, Jason "Jam Master Jay" Mizell*, and Joseph "Reverend Run" Simmons, were one of the most influential and best-known acts in the history of rap. They were the first group in the genre to have a gold album (RUN DMC., 1984) and to be nominated for a GRAMMY Award. They were also the first hip-hop group to earn a platinum record (King Of Rock, 1985), and the first to earn multiplatinum certification (Raising Hell, 1986). John Cage* was an avant-garde composer whose inventive works and unorthodox ideas profoundly influenced the entire music industry. His innovative ideas on composition and performance influenced a broad spectrum of artists including fellow musicians, dancers, choreographers, painters and more. Cage remained on the leading edge of both playful and profound experimentalism for the greater part of his career. One of Cage's best-known and most sonically intriguing innovations, the prepared piano, has become an almost commonplace compositional resource. Music entrepreneur Fred Foster contributed a great deal to the Nashville music scene of the 1960s and 1970s as a producer and as the head of one of the city's strongest independent labels, Monument Records. He is best known for producing many classic hits by Roy Orbison. He also played a vital role in the career of Kris Kristofferson, and worked with Willie Nelson, Dolly Parton, Ray Stevens, among others. From 1960 to 1964, Foster produced the overwhelming bulk of hit songs with which Orbison is associated: "Only The Lonely," "In Dreams," "Running Scared," "Blue Bayou," "Blue Angel," "Dream Baby," "Crying," "Candy Man," "Mean Woman Blues," "It's Over," and "Oh, Pretty Woman." Known as the father of stereophonic sound, Dr. Harvey Fletcher* was a prominent physicist, credited with inventing the hearing aid and the first audiometer. Through his research, he was able to document and demonstrate the spatial effects of sound, which he called auditory perspective, or stereo. However, it was his profound interest in music that led Fletcher to partner with Leopold Stokowski and the Philadelphia Orchestra, and this collaboration produced more than 100 stereo recordings. In his tests, listeners were often unable to distinguish the difference between the live orchestra and the recordings. EMT (Elektro-Mess-Technik) was founded in Berlin in 1940, originally manufacturing high-end pro measuring devices and turntables for broadcast, television, and recording studios. In 1957, the company made a huge breakthrough with the release of the EMT 140 Reverberation Unit — the first plate reverb. Upon its introduction, the EMT 140 Reverberation Unit quickly garnered popularity, providing a smoother substitute to spring reverb systems, simplifying the process of affecting recorded sound while providing the engineer with a more versatile and customizable interface than acoustic chambers. With the plates' introduction, the sound of popular music changed dramatically as evident in English recordings made at Abbey Road by the Beatles and Pink Floyd, as well as RCA Victor recordings by Nashville’s Chet Atkins and many others. Established in 1957, The Recording Academy is an organization of musicians, songwriters, producers, engineers, and recording professionals dedicated to improving the cultural condition and quality of life for music and its makers. Internationally known for the GRAMMY Awards — the preeminent peer-recognized award for musical excellence and the most credible brand in music — The Recording Academy is responsible for groundbreaking professional development, cultural enrichment, advocacy, education, and human services programs. The Academy continues to focus on its mission of recognizing musical excellence, advocating for the well-being of music makers and ensuring music remains an indelible part of our culture. For more information about The Academy, please visit www.grammy.com. For breaking news and exclusive content, follow @TheGRAMMYs on Twitter, "like" The GRAMMYs on Facebook and join The GRAMMYs' social communities on Google+, Instagram, Tumblr, and YouTube. 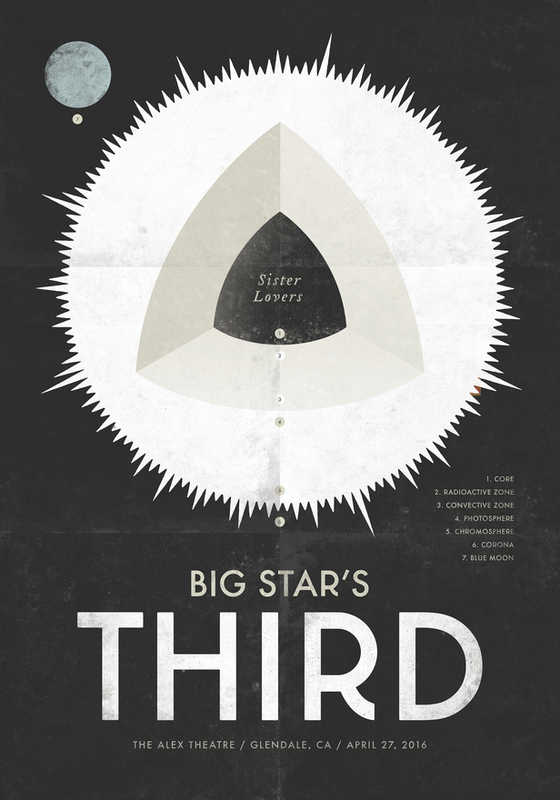 LOS ANGELES, Calif. — Concord Bicycle Music will present a concert of the music of Memphis legends Big Star, performed by an all-star lineup of musicians and guest vocalists. The event, featuring fan favorites such as “In the Street,” “September Gurls” and “Thirteen,” as well as the entire Third album, is to be filmed for Thank You, Friends, a DVD and CD release set for release in 2017 and will take place Wednesday, April 27, 2017 at 8 p.m.sharp, at the Alex Theater, 216 N. Brand Blvd., Glendale. Doors are at 7 p.m.
Jeff Tweedy and Pat Sansone of Wilco, Ira Kaplan of Yo La Tengo, Robyn Hitchcock, Dan Wilson of Semisonic, Benmont Tench from Tom Petty and the Heartbreakers, Jessica Pratt, Brett Harris, Django Haskins, and Skylar Gudasz are among the guests who will be joined by a full chamber orchestra helmed by the Kronos Quartet, performing scores created directly from the original multitrack tapes from Ardent for this event. Carl Marsh, who wrote the original orchestrations, will conduct. While the band may not be Big Star per se, the fabled group’s sole surviving original member, Jody Stephens, heads an amazing cast, whose membership includes latter-day Big Star alumni Ken Stringfellow and Jon Auer of the Posies, R.E.M’s Mike Mills, Let’s Active’s Mitch Easter, Chris Stamey of the dB’s, and others. The concert will be filmed by Yes Equals Yes as part of a Concord DVD release, slated for Spring 2017. Much like Nick Drake, the Velvet Underground, or other critically esteemed artists whose work only gained commercial traction long after its initial release, Big Star’s trademark mix of shimmering jangle pop with a side of elliptical melancholia was originally let loose into a world that just wasn’t ready for it. Nonetheless, an underground core of fanatical enthusiasts kept the fire burning. The Replacements famously released “Alex Chilton,” a song that paid tribute to his songwriting genius. R.E.M.’s Peter Buck said, "Big Star served as a Rosetta Stone for a whole generation of musicians." Third is included as one of Rolling Stone magazine’s “500 Greatest Albums of All Time.” Experience this classic of late ’70s power pop through the prism of a one-of-a-kind collective of immensely talented fans of one of the most influential American rock bands ever. Majestic returns from modern-day guitar hero Joe Bonamassa and Southern hard rocker 3 Doors Down, as well as the release of a wonderful tribute to George Harrison and enthralling documentary about '80s hard rock hit makers Twisted Sister are among a parade of fantastic new releases available. Also worth discovering is an unreleased collection of outstanding recordings from the late Jeff Healey and the debut album from power-pop trio Yorktown Lads. Tell me more: On Sept. 28, 2014, a diverse and potent line-up of musicians gathered at the Fonda Theatre in Los Angeles for "George Fest," a night to celebrate the music of George Harrison. Now that once-in-a-lifetime concert event is available as a deluxe edition with the complete audio recording featured on two audio CDs and the concert film itself on a DVD. Many of the performances are faithful to Harrison's iconic recordings, including a stunning "I Me Mine" (featuring Brett Daniel of Spoon), "I Got My Mind Set On You" (with the Killers' Brandon Flowers on lead vocals) and a shining take on the Traveling Wilburys gem "Handle With Care" that features Flowers, Daniel, Dhani Harrison, "Weird Al" Yankovic and Jonathan Bates. Elsewhere, the arrangements likewise honor the original Harrison tracks but with enough variation to keep it interesting (Heartless Bastards' Americana-styled "If Not For You," Jamestown Revival's folk-rock take of "If I Needed Someone" and Black Rebel Motorcycle Club's brooding "Art of Dying"). Information: GeorgeHarrison.com. Tell me more: Fans who caught Andrew Horn's We Are Twisted F***ing Sister! when it was shown in movie theaters in February 2016 can now add the documentary film to their personal collection. Despite that it appeared as if the New York quintet's appearance on rock radio (with the 1984 singles "We're Not Gonna Take It" and "I Wanna Rock") was a overnight success story, Twisted Sister spent years without a record deal. Interviews with the band members, management, fans and archival footage provide a compelling tale of a band that persevered despite all odds and the film takes a universal approach in examining what it takes for an ensemble to find success via a long journey from bars and dives to the big time. Available on DVD, Blu-ray and digital formats, We Are Twisted F***ing Sister! is one of the more interesting music documentaries in memory. Information: TwistedSister.com and TwistedSisterTheMovie.com. Tell me more: Long-time fans of Mississippi-spawned rockers 3 Doors Down will find plenty to savor via the riff rockers and ballads that grace the band's satisfying sixth album Us and the Night. Singer Brad Arnold and company have consistently been able to blend hard and alternative rock styles with lyrics that typically address the highs and lows of romance, or introspective themes; the band does that here on their first new full-length disc since 2011's "Time of My Life." The spirited anthem "The Broken," in-the-pocket heavy rocker "Still Alive" and affecting ballads "Inside of Me" and "Pieces of Me" are among the standouts on a very solid return. Information: 3doorsdown.com. Tell me more: Few modern-day artists are as talented as singer-songwriter-guitarist Joe Bonamassa, who was seemingly born to play guitar (indeed, the New York native began playing the instrument when he was four and was only 12 when he opened a string of dates for B.B. King in 1989). Bonamassa is also prolific, having just released his 12th studio album (Blues Of Desperation) since 2000. And that doesn't include a number of live albums and concert films, and several high-profile collaborations with the likes of singer Beth Hart and Black Country Communion. It speaks volumes about Bonamassa's gifts that Blues of Desperation has the sound and firepower of a hungry bluesman's debut. The 11 original songs tap into British, Chicago and Southern blues traditions, with Bonamassa having worked with other songwriters and recorded in Nashville to push his talents in new directions. The fiery and virtuoso guitar work thankfully remains intact (notably on an extended lead in "No Good Place for the Lonely"), but there are forays that provide evidence that Bonamassa remains a hungry artist interested in exploring new territory. The glorious English-meets-Southern-fried title track, breezy country blues of "The Valley Runs Low" (with his voice positioned against a trio of female vocalists) and uptempo Chicago blues burner "You Left Me Nothin' but the Bill and the Blues" are among this writer's faves. Information: jbonamassa.com. Tell me more: Released in connection with what would have been singer-guitarist-songwriter Jeff Healey's 50th birthday, Heal My Soul features a dozen previously-unreleased songs recorded by the legendary artist between 1996 and 1998. The opening track "Daze Of The Night" is a flat-out blues rockers, filled with soaring guitar work and unbridled energy. The psychedelic-anchored "Moodswing" recalls the experimental touch of Hendrix, while the album is loaded with tuneful classic rock-worthy material ("Baby Blue," "Misunderstood," "Love In Her Eyes" and "It's the Last Time" in particular) and a beautiful acoustic ballad "All the Saints." Want to have some fun? Listen to Healey's original "Please" with headphones (and the dueling guitar leads battling during the track's breathtaking finish). A joyful introduction - or reintroduction - to the talented Healey who sadly lost his battle against cancer on March 2, 2008. Information: jeffhealey.com. You might like if you enjoy: Tommy Keene, Matthew Sweet, sparkle*jets u.k.
Tell me more: Although the debut album from power-pop trio Yorktown Lads was issued in 2015, lovers of all things vinyl and melodic rock will want to discover the collection titled Songs About Girls and Other Disasters that comes wrapped in a gatefold cover with full lyrics and colorful artwork. Cameron Lew, Addison Love and Michael Simmons have come up with a strong set of shimmering originals including the uptempo "Something to Write About," infectious "Rewind" and wistful ballad "Home." Songs About Girls and Other Disasters is available via red translucent 180 gram audiophile quality vinyl, and every LP comes with a download card so even those without a turntable can get a listen to this essential release. Information: YorktownLads.com.